An East German photo technician who has been spying for the SIS, becomes convinced he's under surveillance. Laura Dickens is sent into East Berlin to bring him out, together with a cache of photos of a new missile base. The description of this episode is deliberately short on detail, because this is a very heavy episode. It's also impossible to discuss without spoilers, so if you haven't already, I'd recommend watching/re-watching it before you read any comments. I haven't had much to say about the past two episodes. This one though. This one floors me, as the poorly articulated babble of a comment that follows will attest. The first time I saw this episode I did not see the ending coming at all. First time through I assumed Jeff Ross showing up and Burnsides aside to Willie meant that Burnside had some plan, he was going to find a way to save Laura and the Special Relationship. It was utterly shocking once it sunk in. Second time through it was amazing how inevitable it all seemed. It still managed to be tense as hell because you know what's happening. Laura Dickens, this talented, brilliant woman who had the extremely bad luck to run into Burnside, and the even worse luck to actually fall for him and the job of a Sandbagger is going to meet the same end as Jake and Denson, and the tension that puts into the story makes it hard to watch. Speaking of, this episode really wouldn't have worked without "A Proper Function of Government". Without Jake to establish that being shot by your own side is something Burnside will resort to, or Denson and Sally to establish exactly how pointlessly and cruelly people die in this series, this would have been unacceptably gratuitous and cruel, rather than unacceptably gratuitous and cruel but I want to keep watching. I also want to mention Diane Keen's portrayal of Laura Dickens, you expected her to be a main charachter. She didn't feel like an afterthought or a designated victim (carsonb mentioned her honey-badgering a new govenrment car into the embankment a couple of eps ago). Her death doesn't feel like "random bad thing happens to loved one". She was there becuase she chose to be and she was the best person for the job, and this is what can happen to Sandbaggers. It's an extremely delicate job to have a character have a CIA agent gun down the woman he's in a relationship with on a bridge in East Berlin and still have him work as the protagonist of a series like this. I think lot of why it works is because Diane Keen and Ray Marsden were able to sell the fact that Dickens and Burnside were genuinely in love. Badly damaged people in a jury-rigged sort of relationship, sure, but if the relationship had been too forced this wouldn't have worked at all. Not directly related, but I kind of wonder if Wellingham and Burnside ever talked about this. Wellingham is the only one outside Burnside's inner circle who he told about his feelings for Dickens. I also wonder what Wellingham believed about it all. Would you rather deal with someone who's capable of murdering the woman they love to protect the interests of the SIS, or someone who's capable of convincing you they love someone so they can have that person murdered? As well happen later, the prize is too tempting to give up. More and more I think of this special section work as being in a Red Queen trap. That's two sandbaggers dead on Burnside's orders. No wonder Willie is pissed off. 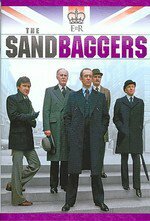 This is the episode I think of, when I compare Sandbaggers to other programs or recommend it to people. The first time I saw it, I was completely stunned. I'd never seen a program so cold blooded, so brutal, even more shocking because there's not a lot of violence or bloodshed. It's only now that I've noticed that this is still the first season, the 7th episode, so fairly early in the series. In my mind I thought it happened more towards the middle of the series, that their relationship had more time to unfold. One thing, the term "special relationship". I'd never heard it used before I saw this series back in the 90s but since then I've heard it used in other films/shows in reference to the CIA and the SIS. Is it real? Is it an actual label? I've watched all of the other episodes several times, but this one got me real bad on my first watch and I haven't wanted to go back to it. I was seething at Burnside, just as shaking mad as Willie Caine is. Well I did finally watch it again today, and this time I could see Burnside's calculation very early. He went for the trade originally, but when the French laid down their terms he immediately reconsidered. From then on, even while he's telling Wellingham that he loves Laura Dickens,* he's already on the Save-the-Special-Relationship-Get-Her-Out-In-The-Open track. *True, Burnside loves Dickens. But false, that he's admitting it to Wellingham to save her (and the Hungarian network). He simply needs the signatures to convince the French to help and get Dickens out where he can Sandbagger #2 her. Yes I verbed "Sandbagger #2:" preventative termination of any Special Intelligence Agent who is not Willie Caine. Also, with the caveat that I haven't watched anything past this episode at this point, I hope this of all things convinces Wellingham that Belinda oughta just drop the whole Burnside fixation stat. The man is no good for nobody. carsonb: I had a similar question to you. I watched the scene where Laura Dickens is shot a couple of times to see how they played it. She's smiling when she sees Burnside and after she's shot her expression is fixed in shock, wide eyed and staring. My guess is she never put it together, or at least was never intended to have put it together, otherwise they probably would have had some movement or expression change as she died to flag it, where as is, it's shot as if she was dead the moment she hit the ground. I also think that there may be some twists of the knife too cruel even for this series. It used to be but it's kind of slipping now. Intelligence agencies still share "take" (5Eyes etc) but the diplomatic relationship between the UK and the US is slowly being eroded thanks to various factors. Cameron losing the vote on Syrian airstrikes, NATO, threat of Brexit are all things that have strained the official side of the Special Relationship. There's still a lot of back room dealing going on in private member clubs and certainly in the SF intel community there's a lot of unofficial sharing happening as well but the State Dept and the Foreign Office are kind of on different tracks on a lot of different matters and Obama has been pretty clear (even publicly - the Atlantic article from a short while ago) that the US has less and less in common with us and that they have essentially been "carrying" us for some time now.